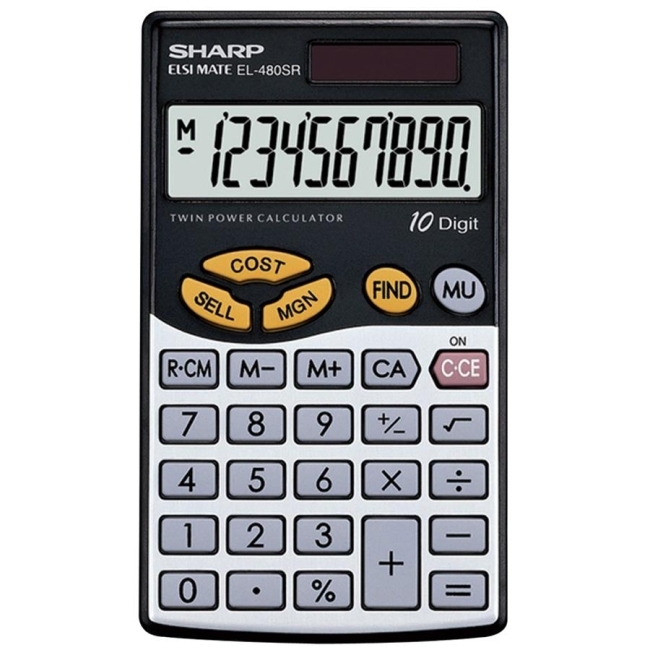 Twin-powered basic handheld calculator with wallet features an extra large 10-digit LCD display with punctuation, twin power solar operation, three-key memory, cost/sell/margin keys, square root, sign change and percent keys. Automatically switches from solar to battery power in low light. 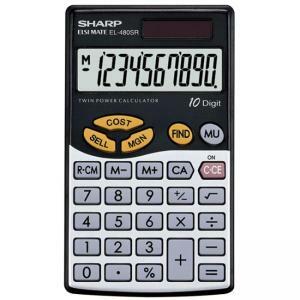 Three-key memory includes memory plus, memory minus and recall/clear memory keys. The cost/sell/margin and find buttons have the same color. Dimensions: 2.71" x 4.68" x 0.28"